The Mississippi River is truly one of the great natural resources of the United States. In addition to providing drinking water for more than eighteen million people, the Mississippi and its tributaries provide an engine for economic development, an important transportation link, abundant recreational opportunities and a vast habitat for wildlife. Forty percent of the nation’s migratory waterfowl fly along the Mississippi River corridor, and the Mississippi supports a whopping 260 fish species. Draining 31 U.S. states and parts of Canada, the Mississippi River meanders southward and picks up contaminants like sediment, fertilizers and pesticides. 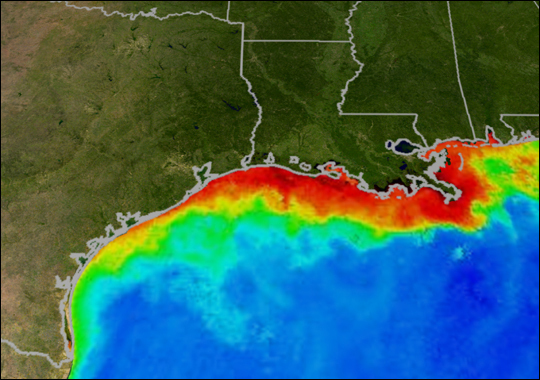 Nitrogen and phosphorus pollution from fertilizers, sewage treatment plants, livestock feedlots, and industrial facilities combines to create a Dead Zone in the Gulf. Since the 1970’s, the Dead Zone has grown up to the size of New Jersey (over 8,700 square miles). 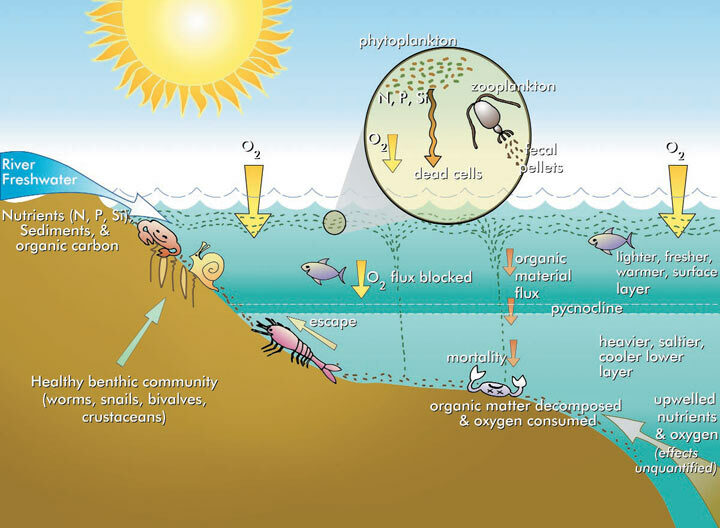 In the Dead Zone, sea life must swim away or suffocate due to lack of oxygen. Farm runoff and sewage discharges contain massive amounts of nitrogen and phosphorus. Nitrogen and phosphorus pollution acts as a fertilizer for algae, resulting in large algal blooms. When the algae die, they sink to the saltier water below and decompose, depleting already low oxygen in the deeper water. Because the cooler Gulf waters do not mix well with the lighter and warmer fresh waters from the Mississippi River, oxygen in the water is not replenished, resulting in a large Dead Zone in bottom waters. -Pushing states and EPA to establish limits on nitrogen and phosphorus pollution in the Mississippi River Basin. -Holding emitters of nitrogen and phosphorus pollution, such as sewage treatment plants, accountable. -Advocating for the appropriate distribution of farm subsidies. Subsidies should be directed towards farmers that actively reduce the pollution flowing off of their crop land. -Pushing corporate meat producers to ensure that their grain suppliers are reducing nitrogen and phosphorus pollution.